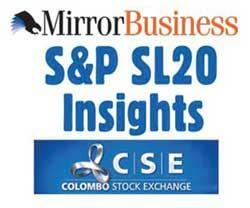 Mirror Business S&P SL20 Insights’ is conducted in collaboration with the Colombo Stock Exchange (CSE) as an investor relations initiative. The column encourages S&P SL20 companies to bring attention to the developments in the industry, company and discuss the growth prospects. Following are the excerpts from an interview with Commercial Bank Managing Director and Chief Executive Officer S. Renganathan. What are the key milestones that the bank achieved in 2018? Commercial Bank recorded impressive growth in all key areas in 2018, rising above the challenges of increased taxation and an increasing level of non-performing advances faced by the entire industry. Commercial Bank once again proved its resilience by increasing the market share amidst challenging market environment by providing an adequate cushion against non-performing advances, robust and prudent asset and liability management and maintaining a stable and growing profitability. We are specially proud to have improved our cost to income ratio amidst the volatile macroeconomic scenario. In 2018, Commercial Bank’s overseas operations continued its steady growth momentum contributing a healthy percentage to the group profits. The bank incorporated a fully-owned subsidiary, CBC Myanmar Micro Finance Company Ltd in Nay Pyi Taw, Myanmar, in addition to its existing representative office in the country. 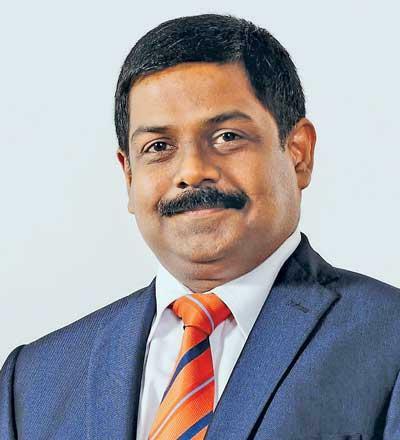 In keeping with its commitment to serve small and medium entrepreneurs (SMEs) as the largest private bank in Sri Lanka, the bank broke new grounds in the industry in 2018 by introducing relationship management for SME customers through ComBank Biz Club. The bank made an outstanding contribution to the government’s lending scheme ‘Enterprise Sri Lanka’. The bank also launched UnionPay cards, with the largest card issuer in the world, UnionPay International, making Sri Lanka its 51st country to issue UnionPay cards. On the technology front, Commercial Bank introduced the Flash Digital Banking platform, the only one of its kind in Sri Lanka. Whilst acting as a typical mobile wallet, it allows group payments and QR code transactions with your smartphone. Apart from the traditional financial transactions, Flash allows you to save with a goal in mind and basically facilitates your financial health through effective budgeting tools. Substantial investments were made on data analytics and upgrading our systems, which will in the long term help us to better our product offerings and further improve our service standards. Commercial Bank also launched the first fully automated cheque deposit machine in Sri Lanka in 2018. The bank’s green initiatives continued to generate significant energy savings. Contributing factors towards this achievement were the bank’s strategies to interweave sustainability into its business practices via initiatives to reduce its carbon footprint through the establishment of green banking channels, comprehensive waste disposal systems, moving into solar power, reduction of paper use through the digitization of processes and the steps taken to develop green buildings for its branches. A number of the bank’s premises now have zero electricity bills, while several others export power to the national grid. Please outline the three most important macro trends that you believe will impact the banking industry in 2019? The stability of the financial industry is greatly dependent on stable economic and political conditions, which is directly linked to the fluctuation of the exchange rates and interest rates. By far the trends in interest and exchange rates will be the determinant factor for many other micro level factors in the industry and economy. The level of employment and the productivity in various sectors will also affect the banking industry. For banks to be able to lend and maintain high-quality portfolios, there should be a high level of productivity and activity levels in key economic sectors. The macro economic issues arising out of income disparity is another factor that will affect the performance of many industries, specially that of banks. What is your outlook for the bank in 2019? What growth initiatives can be expected in the medium to long term? The banking industry went through a very challenging period in 2018 due to the substantial increase in non-performing assets (NPA). In my view, multiple factors have contributed to this position. Hence, this challenge is expected to continue in 2019 and banks will have to focus more in arresting this increase in NPA and improving the quality of their advances portfolios. The banking industry will be compelled to raise its capital position to meet the new challenges through increased taxation and state levies in addition to meeting the BASEL IV and IFRS-9 requirements. Our key focus segment for growth will be SME, where the bank hopes to introduce additional services and value additions whilst focusing on introducing more gender-specific products. Apart from this, all the key strategic business units of the bank will be working towards achieving their long-term strategic plans. The bank will be launching further initiatives to provide convenience and customized banking solutions. The medium and long-term focus will be heavily on digitization. The bank will continue its efforts in automation and channel migration by employing superior technology to meet the exact requirements of our different customers, while continuously focusing on achieving service excellence. Sustainable and green banking practices, both through internal processes and by way of specific products and services, will be another key focus area. In your opinion, what challenges do you anticipate in the Sri Lankan banking industry? It’s the positive economic conditions and the stable political environment that drive the sector and increases the investor confidence. Inflation affects lending growth; therefore, it is a challenge to keep it under control. The consumption patterns of customers and customer demographics such as ageing population and the emergence of the Millennials as a customer segment will significantly alter the composition of the industry. Apart from these, the biggest challenge the industry face will be from the evolving technology that will keep all of us on our toes trying to stay relevant. It is paramount that the banks keep abreast of these trends and evolve accordingly or face the risk of being irrelevant, specially in the retail banking space. The entrance of fintechs and technologies such as blockchain and artificial intelligence will pose both opportunities and challenges for the sector. How is your business taking a more sustainable approach to the financial system? We believe that sustainable lending is the key to a sustainable approach. Commercial Bank is one of the first banks to adopt the Social and Environmental Management System (SEMS) framework, which is an international framework to determine the environment impact of projects. This framework enables us to ensure that the projects we lend to do not adversely affect the environment or the communities. We practice the same responsible approach when granting credit facilities to retail customers. We believe in logical credit appraisal systems that ensure the financial well-being of customers. We are also a member of UN Global Compact and are committed to its principles and policies. Commercial Bank is also focusing on improving financial inclusivity. The bank’s high customer penetration rate outside the Western Province is testimony to the progress made in financial inclusion, supported by a growing network of touch points comprising 266 branches and 830 automated touch points in Sri Lanka. The distribution of the bank’s deposits portfolio and the growth of targeted deposit products for women, micro entrepreneurs and small-scale farmers and senior citizens provide testimony to its efforts to engage them in the country’s socio-economic progress. We will be looking at creating more gender diversity in our lending products, specially in the area of SME customers. During the past 06 years, the bank has collaborated with the Central Bank of Sri Lanka to conduct capacity building programmes for over 7000 SME and micro entrepreneurs on financial literacy. Focusing on the shareholder, what efforts and initiatives are you taking to drive shareholder value? The bank is constantly working towards enhancing shareholder value through consistent and stable financial performance. Also a lot of effort is being put in to ensure that our disclosures to shareholders and to regulatory bodies are transparent and comprehensive. Commercial Bank invests substantial funds to maintain its brand image and adopts sustainable business practices at all times. Finally, what is your message to the shareholders of Commercial Bank? We would like to extend our warm gratitude and appreciation to all our shareholders for the confidence they have placed on us and their unwavering support extended throughout the journey of the bank. Our team is actively engaged in delivering enhanced value to all our stakeholders including shareholders.